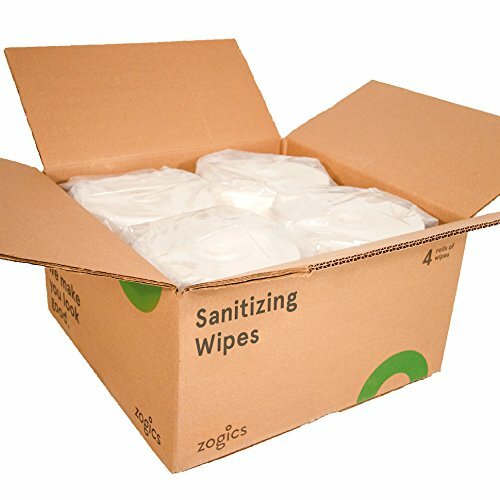 Zogics Sanitizing Wipes are an effective way to clean, sanitize, and deodorize both hands and surfaces. These FDA approved, multipurpose cleaning wipes are alcohol-free, phenol-free and bleach-free. Rolls of sanitizing wipes measure 8.5" x 8.5", while wipes are 8.5" x 5.5", making them easy for single hand use. Sanitizing Wipes can be paired with any upward pulling gym wipe dispenser, but work especially well with Zogics dispensers, sold separately.